ERGO partner Nevo Parudimos organized the second meeting of ROMA FORUM network. The meeting took place on 4-5 December, 2017 at the Sports Cultural Complex Tei in Bucharest. The meeting was organized within the framework of the strategic partnership coordinated by ERGO. The meeting was attended by Minister Delegate for European Affairs, president of the National Agency for Roma, , deputy of the Roma minority in Parliament. Alongside them were representatives of Roma civil society in the country. 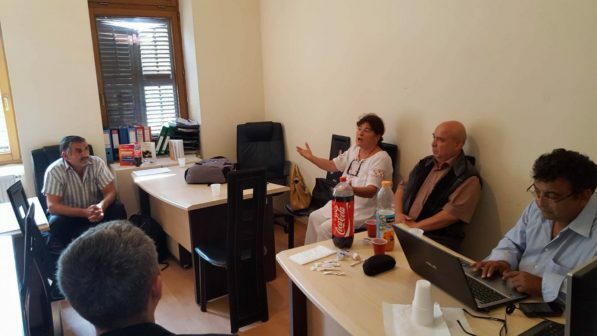 The novelty of this meeting was that for the first time organizations of Christian Roma participated with a significant number of participants. The Roma FORUM network intends to provide space for debate and analysis of existing policies for Roma people. Roma FORUM is a network of Romani organization, Roma activists and researchers, who want to contribute to the improvement of public policies for Roma communities. 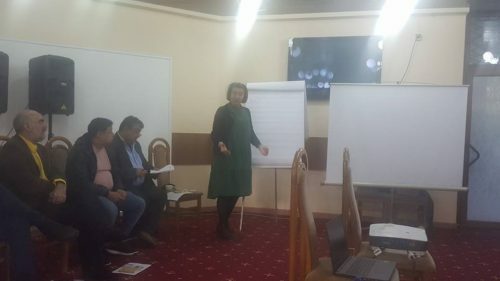 ERGO member Nevo Parudimos from Romania organised its first training on Community-Led Local Development for Local Action Groups and potential CLLD beneficiaries. The training was held in cooperation with the National Federation of Local Action Groups on 15/16 November 2017 in Tecuci, Romania. 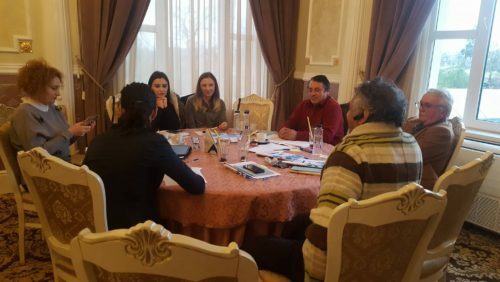 The 40 participants, representing 10 LAGs from the South-East region of Romania, Roma NGOs and Roma from local communities, learned how CLLD can be used for the development and funding of projects targeting Roma communities. Parts of the programme were held for both LAGs and beneficiaries together in order to exchange ideas and create partnerships. During other parts the group split into two in order to focus on the specific needs of both groups. The training was made possible thanks to the financial support of the European Commission’s EaSI programme through a Framework Partnership Agreement between ERGO Network and DG Employment. If you would like to read more about ERGO’s work on the CLLD, visit our website. 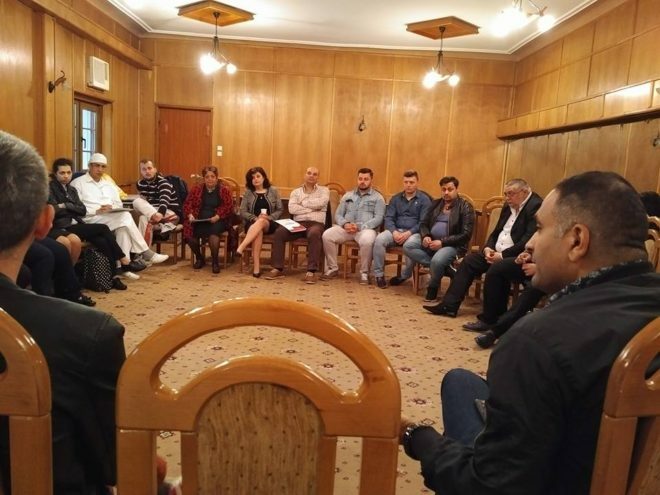 The National Meeting of Roma Forum organized by Nevo Parudimos, as a member of ERGO Network in partnership with Romani Criss, took place from 10-11 May in Bucharest. The theme of the meeting was „The involvement of Roma NGOs for the Romanian Presidency of the EU in 2019”. More than 30 Roma NGOs participated to the meeting and over 60 people were present during the 2 days. In the same time, officials from the National Roma Agency, the National Roma Contact Point, the National Federations of LAGs, representatives of the Roma Education Fund, the Ministry of Employment and the Central European University gave presentations and talked about Roma issues in open and free discussions. The main discussions focused on the list of several proposals for the Romanian Presidency of the European Union in 2019 in order to be formalized in the public agenda during the Romanian presidency. These proposals refer to the following important areas: school segregation, the mediation process for health and education and forced eviction of the Roma. 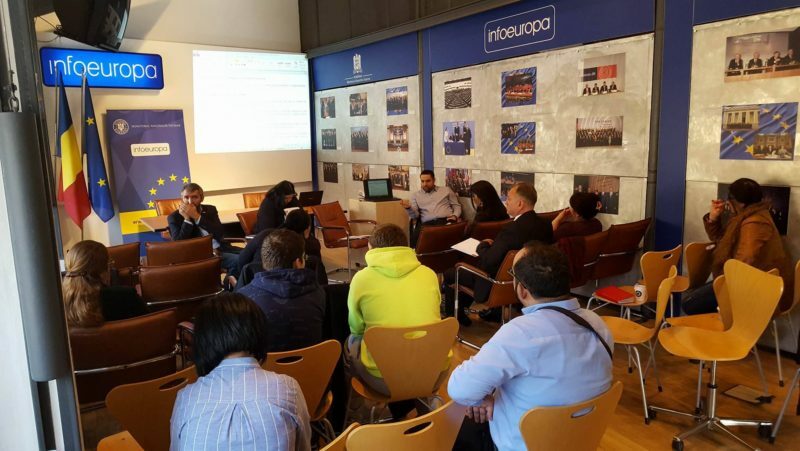 The Second National Meeting of Roma Forum in Romania took place on 18 November 2016 at the InfoEurope Center in Bucharest, organized by Nevo Parudimos, as member of ERGO Network, in partnership with Romani Criss. The discussions focused on the list of proposals for the Romanian Presidency of the European Union in 2019 in order to be formalized in the public agenda during the Romanian presidency. These proposals refer to the following areas: school segregation, the mediation process for health and education and the forced eviction of the Roma. Marian Mandache (Romani Criss), as an invited speaker of the 1st session, proposed ways of addressing the Roma issues to the future Romanian Government from 2017: bilateral meetings on the main social and economic fields that address Roma, such as sectorial meetings with public ministry representatives to include in their public agenda the Roma issues. The Roma Forum had about 20 participants of Roma organizations from Romania and some new ones expressed their willingness to join. As an ERGO member, Nevo Parudimos expresses its commitment to sustain the Roma Forum activities and to develop the capacity of Roma NGOs by exchanging information, solutions and models in order to overcome certain issues. Also representatives of public authorities, namely the National Roma Agency and Mr. Alexandru Potor from the National Federation of LAGs, participated in the meeting. Nevo Parudimos, as a member of ERGO Network, organized a working meeting on the 14th of September in Timisoara on the theme of „Local Development Strategies and the role of Roma NGO’s in their implementation”.At the meeting participated Roma NGO’s from 3 counties of the Western Region of Romania (8 representatives). They expressed their interest in collaborating with the Local Action Groups (LAGs) management team in order to apply for the calls on the Strategies’ social measures targeting the Roma communities. They underlined the need for special training in order to be able to apply for LAGs call and to be built their capacity of implementing these projects as the need for active measures is well-known and could be a priority in certain situations. The Comunity Local Led Development process was explained by the Nevo Parudioms’team and the LAG’s activity within their area of interest (the LAGs where the Roma NGO’s have their activity). The participants’ NGOs have also shown their interest and commitment to attend and be involved within Roma Forum platform and activities. More info about Nevo Parudioms here.